My own mother is facing a very serious health challenge. I have one of those moms who everyone loves. She was the mom who baked special birthday cakes, sewed clothes for me, taught me how to care for my own babies, and to this day supports me in everything I do. She is a blessing I do NOT take lightly. I flew to south Florida to be with my parents for four days. It was just ME, and it was such a wonderful visit. My parents live in the same town where I was born and raised - I just loved going "home". I even got to hang out with my childhood best friend for coffee one morning. How fun is that? Being able to spend Valentine's Day with my mom and dad (who have been married 55 years!) was such a blessing. My mom is recovering from surgery, so I spent a lot of time sitting and talking with her. That gift of TIME was huge. 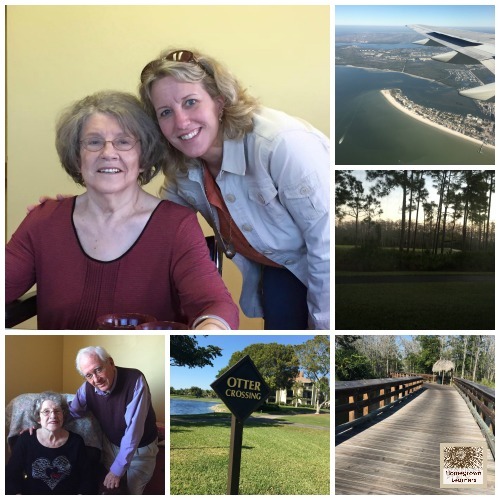 I enjoyed their peaceful golf course community, took lots of walks, and also got to see my older sister. That thought leads perfectly into Interest Led Learning - because we only have this one life, and we need to do what we LOVE, what God has designed us to do, and what will bless others. 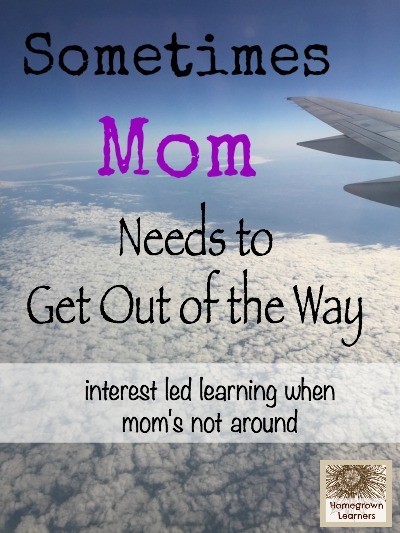 Letting our children pursue their interests is IMPORTANT. 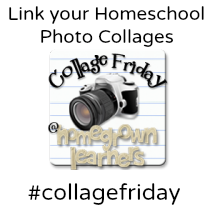 We must structure our homeschools accordingly. We are in a challenging season as a family right now, and I need many things to be EASY. I'm learning not to apologize for this, but embrace it and know that by making some things EASY I can focus on what is truly important, and not have my energies scattered. When I was away I left just a few things for the kids to explore, and didn't have my husband even attempt a regular school schedule. My kids are old enough to fend for themselves a little while dad works (he works from home). I think they all did perfectly FINE while I was away. Grant, my 10 year old, loves ANYTHING science, technology, and/or math! I tried a one month subscription to Tinker Crate for Grant. Hello. I will be renewing this subscription for a full year after this experience. 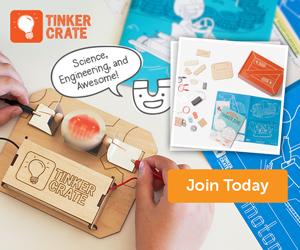 If you're not familiar with Tinker Crate, it is a box of STEM activities (recommended for ages 9-14) delivered directly to your door. Total, he created four different projects and is working on some LEGO stop motion animation as a follow-up. I did NOTHING for this. It was just of interest to Grant. I ordered the crate and let him get to work. 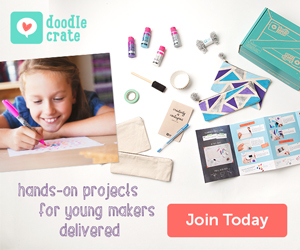 While Grant and I had been eyeing the Tinker Crate, Anna asked if I could get her one month of the Doodle Crate. She spends A LOT of time with her Challenge B course work, and I have been looking for opportunities for her to CREATE things. She is a creative soul and needs that outlet. This month's Doodle Crate was Stamp Carving and Printmaking. Anna carved her own stamps and then created cards. I love them! My sweet girl made several cards and is mailing them at intervals to her grandma in Florida. She spent a lot of time hunkered down at her desk just CREATING beautiful things. This was good for her soul, good for her mood, and blessed her grandmother immensely. We will be ordering a full subscription of Doodle Crate for Anna, that's for sure. Now that I'm home we have gotten back into our "normal" school schedule, but I am so thankful for the time my kids had to just do things they enjoyed. It's impressing upon me the importance of carving time out of our busy schedule for my children to pursue their interests. *I'm excited because right now you can receive 30% off your first month with any crate subscription in the Kiwi Crate family!